KEP uses a wide range of lifts from different, trusted manufactures. Our aim is to provide our customers with a product that is stylish, reliable and good value. Please find below a collection of recent case studies to help inspire you on what sort of lift is best for you. Speak with us to discuss your lift needs, we are always happy to discuss and recommend products based on your individual requirements. 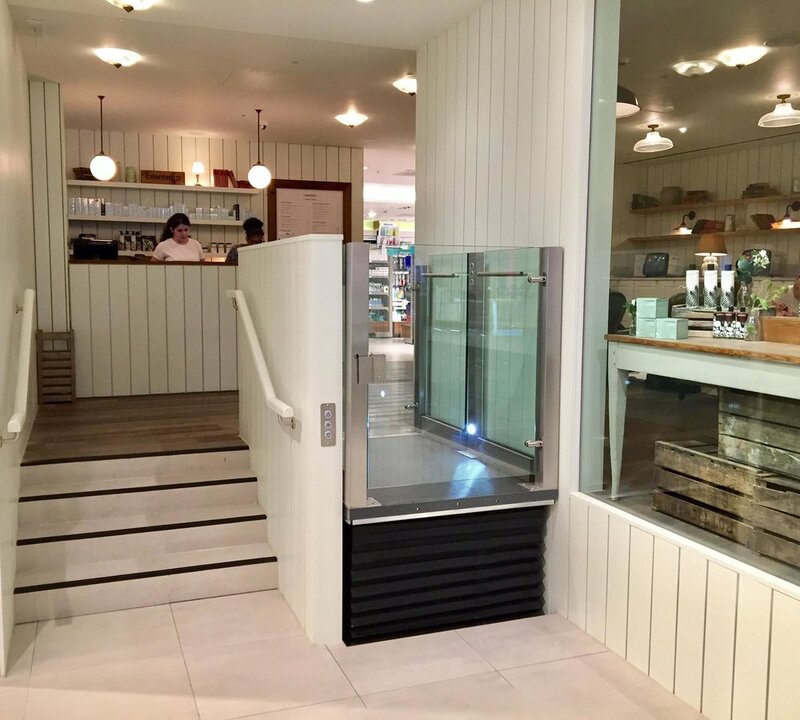 KEP is proud to have worked in Selfridges London - This stunning lift was fully installed by KEP engineers - fully operational in just 12 hours. The Lift was manufactured by Lyfthaus, the market leader in the manufacture of tailor made open aspect platform lifts in the UK. Kent Elevator and Platforms are a trusted fitters of their products with the experience of countless installations. Lyfthaus have worked in partnership with KEP since the launch of our Mylyft Collection of premium platform lifts some years ago. Together our organisations have developed to become the market leaders for the supply and installation of tailor made open aspect lifts for the prestige marketplace. It is very important for Lyfthaus that we work in close liaison with a company that shares the same ethos, when working in the high-end sector with discerning clients the demands are expectedly high – together we exceed these expectations. The Mylyft Collection is manufactured near Cambridge, England at the Lyfthaus Technology Centre. The range is architecturally inspired, contemporary and beautifully engineered but is only ever as good as its installation. With KEP we have a reliable partner who works with us to achieve exceptional results. The full Mylyft Collection is available directly from KEP. 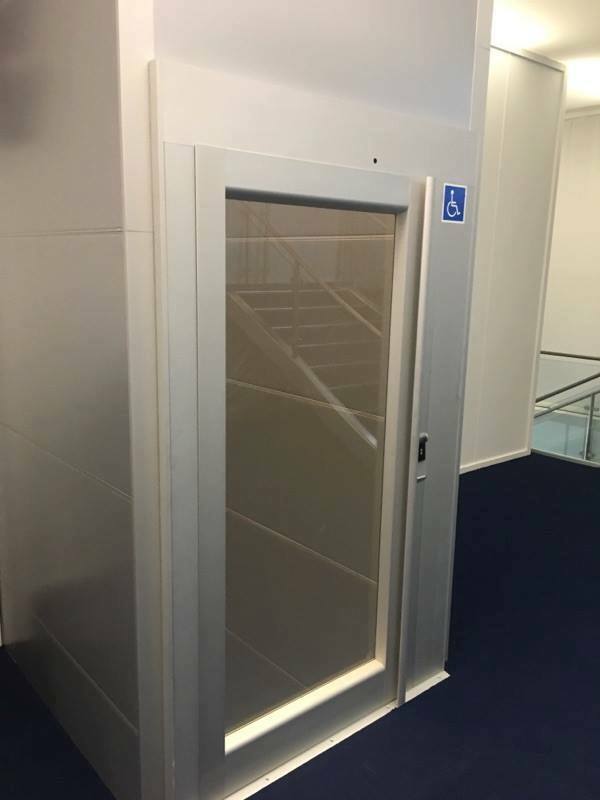 Darren Papani, Managing Director, Lyfthaus Ltd"
Above is a wonderful example of an open aspect platform lift installed by KEP Lifts. The client required a lift that was stylish and in keeping with the surrounding buildings and gardens - as well as being efficient and reliable. 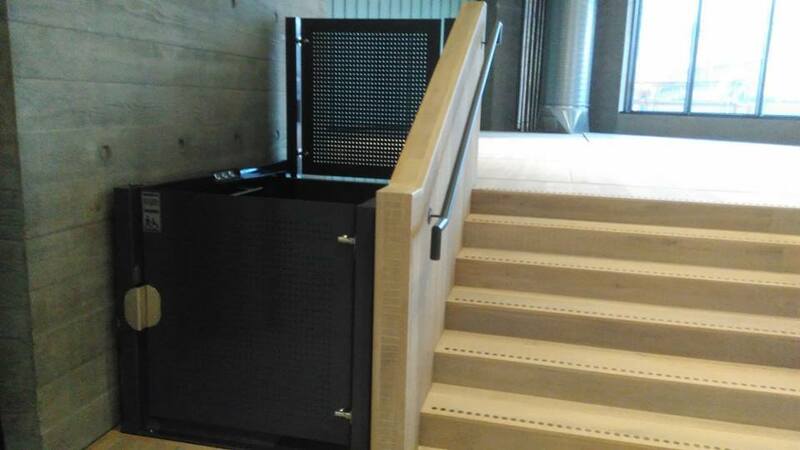 KEP is pleased to have been able to install this platform lift that we believe firmly ticks all these requirements. Call us today for more information about any of the lifts above. Vertical platform lifts are a great alternative to passenger lift - ideal for use in both commercial and residential properties. 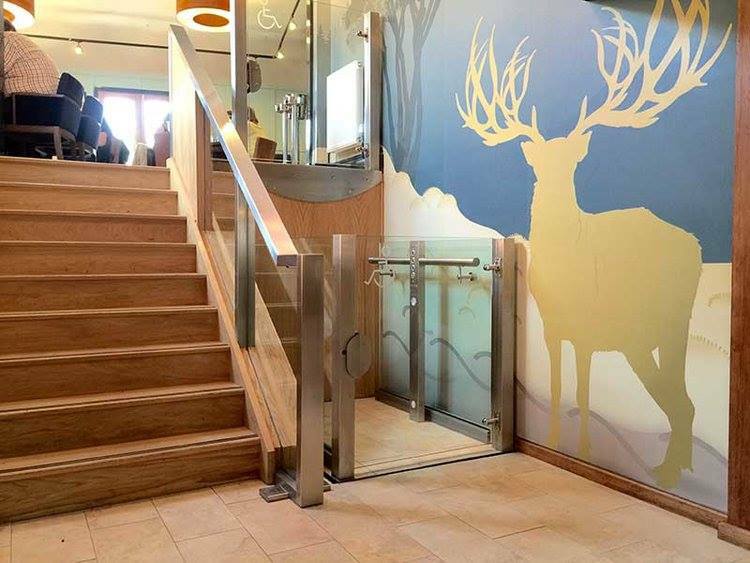 KEP uses a range of lift manufacturers who offer great quality at an affordable amount. Vertical platform lifts are fast to install, safe and easy to operate as well as being stylish, blending into their surroundings. 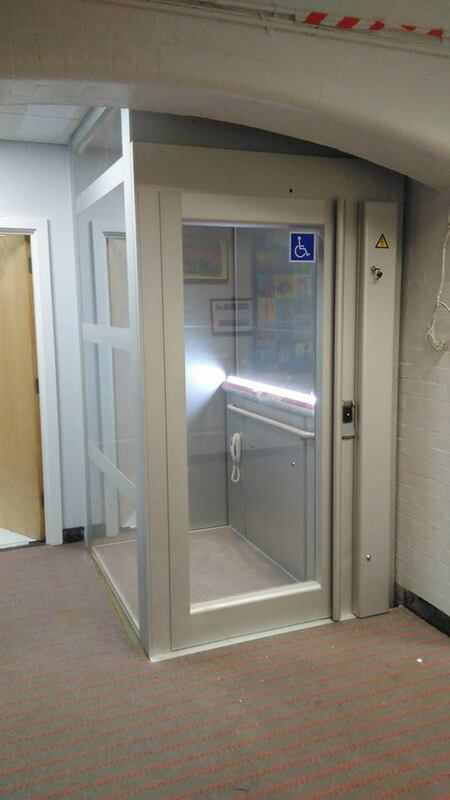 Please find below a collection of images and information on recent installations of Vertical platform lifts installed by Kent Elevators and Platforms Ltd. If you have any questions at all, please feel free to contact us. We installed vertical platform lifts providing step free access between three floors for the Ryder Cup 2018! Installed is multiple SB200’s & RB150’s vertical platforms as well as open platforms. 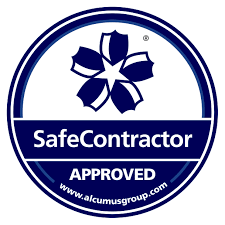 As with all installations carried out by KEP the following is included as standard. KEP Lifts has been privileged to have worked in some of the most iconic locations in the world - many of which had vertical platform lifts installed. Please view our 'news' page for the latest developments and pictures of our most recent installations. 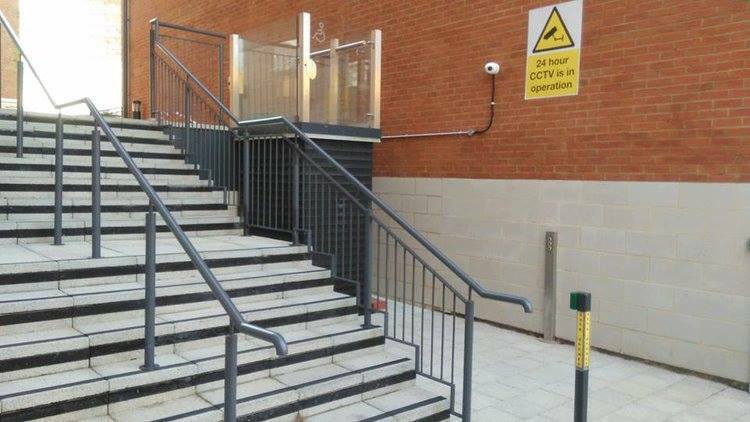 Similar to a stairlift - But the use of the platform makes it suitable for wheelchair users.